I have to blame my sister Joy for putting me through the pain of training for a marathon. You see last year, she ran her first marathon and it took her months to finally stop talking about it. She was sooo happy! I was brainwashed. Last September, I signed up for TBR Dream Marathon and took on the challenge to run 42 km on February 24. What was I thinking?! As a first timer, I wonder if I’ll be able to complete running the distance. 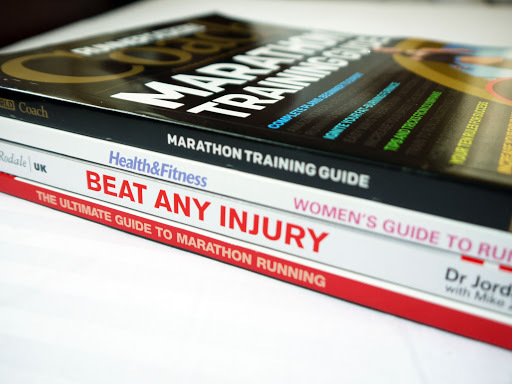 The training started last October and I followed Coach Jim Lafferty’s marathon training program for beginners. It’s a FINISHER’S program and does not include advanced training techniques such as tempo runs and intervals. The main objective is to finish. To get up before dawn and run took a lot of commitment and heart. It wasn’t easy. And Joy never warned me about that! Haha. Anyway, I’m blessed that I got the support of my family. I am actually overwhelmed on how they showed it to me these past months. Last weekend, I together with Jehan and seven other TBRDM dreamers, ran our longest before tapering. 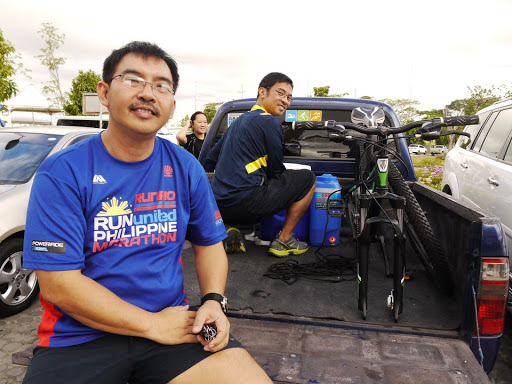 We drove down to the actual race course in Nuvali, and at 4am we started running. Guess who came to support us? Joy and two brothers-in-law. They too woke up early (they came all the way from Quezon City!) just to provide a leap frogging vehicle for our hydration. They even brought breakfast for us. How touching! We really appreciate what you did for us. Thank you! My other sister who lives in the States often sends me running books and apparels. Last week another package was sent. 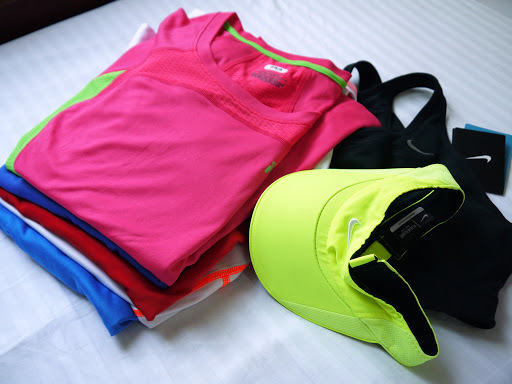 In it were five running shirts, a sports bra, and a visor. Even though she is on the other side of the globe, she is still very much involved with my training. There’s nothing like wearing new shirts to get me want to go out and run. 🙂 Thanks for the motivation! And of course there’s my husband. I thank him for letting me pursue my dream of becoming a marathoner. 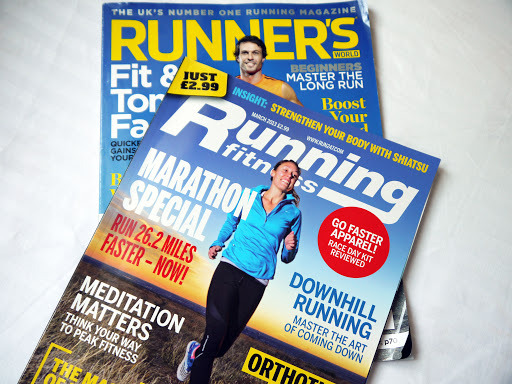 The other day, he handed me a bag full of running books and magazines. Every time he has a business trip, he would always pass by the duty-free bookstore to get me some reading materials. Sweet! Thankful indeed! Thank you God for our supportive family! You'll finish it! We'll finish it! And experience all that love and much more at the finish line! Will be praying dor you my friend! Congratulations!